We're down to crunch time when it comes to doing your taxes. It's time to get tax information organized fast, and get all those receipts together, all the 1099 and W2 forms, and make sure you're taking all the deductions and credits you can legally claim. The tax filling deadline is coming up in just over a week – on April 18th, 2011. Most years the deadline comes on the 15th, but for those procrastinators out there, the tax filing deadline has been pushed back to the 18th because of a government holiday on Friday the 15th. Attention Procrastinators: Win A Free Copy Of TurboTax! To help tax time be a little less stressful I've been in contact with the good folks over at TurboTax, and they have agreed to give us 3 codes for free copies of TurboTax. That's a great value seeing as it normally costs anywhere from $49.95-$79.95 plus state filing fees! I'll be giving away these copies of TurboTax on Monday via a random drawing. 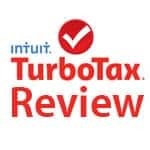 I'll give away 1 copy of TurboTax Premier and 1 of TurboTax Deluxe to lucky winners who leave a comment on this post telling us whether they're planning on getting a refund this year, or if they'll have to pay. I'll give away 1 copy of TurboTax Premier to an email newsletter subscriber. Subscribe to the email newsletter for your chance to win. So to recap, for your chance to win, comment on this post, and/or subscribe to the email newsletter! Tweet the contest for good measure, and we'll choose 3 winners on Monday using Random.org. Start Your Tax Return Now, Before You Win!. UPDATE: Congrats to our winners – Doug, Jedidiah and Travis! What Are You Doing with Your Payroll Tax Cut? When Does Bargaining become Taking Advantage Of? Preparing Your Baby's College Fund -When to Start? I think I’ll get a refund this year…hopefully. I’ve had multiple jobs, both self employed and employed, so it may make a difference. We’ll see! I’m sad to say that I was a Tax procrastinator this year. 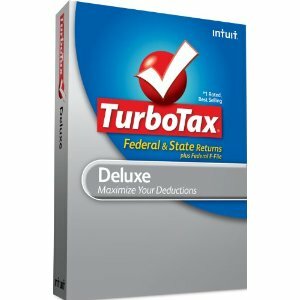 I did buy Turbo Tax Deluxe, and it was awesome the way that it grabbed my 1099 info via the internet. It was also sweet having all my stock transactions auto imported into Turbo Tax from my broker (Charles Schwab)! Talk about taking the bite out of doing taxes!!! Yes, definitely a tax preparing procrastinator this year. I was unemployed all of 2010, so praying that taxes aren’t too skewed. I believe I will be getting back a small refund. Invest? or Eat? Those extra 3 days are going to come in handy for me! 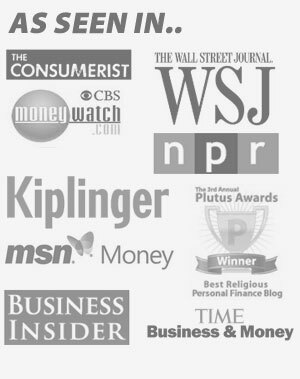 Hi Peter, Thanks for including my NPV article in your round up!!! I appreciate it. I hope to get a refund this year, but we usually have to pay, which is why I’ve waited so late to file! Next Post: Is Homeownership A Right?